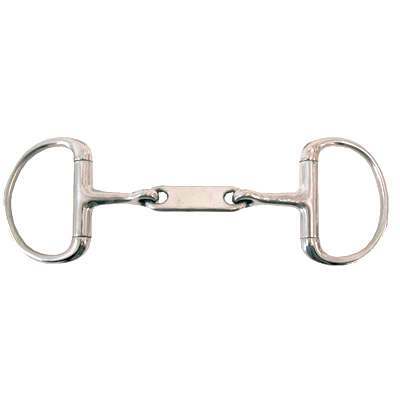 The Dr Bristol Eggbutt Snaffle Bit allows for pressure when appropiate. It also keeps the mouth piece from moving around the ring which will prevent lip pinching. The bit allows for a little bit more snapping the the usual French Link. The size of this item is 2 1/2 rings and 10mm mouth. This Eggbutt Bit is made of solid stainless steel which will also last a lifetime.